Hello everyone! Here's another segment of our Idea Corner Series! If you're anything like me, you probably have tons of motivational images saved on your computer, or perhaps sitting in a drawer. Whenever I see one in stores, I'm always itching to buy it, but the issue is - where to put it up? I'm running out of wall space, but I still want to be motivated. What to do? Of course, I could always change a print in a frame. 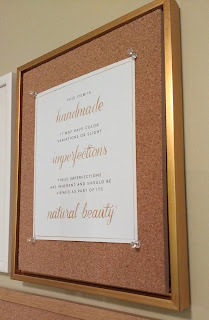 Except, I never like dealing with the fiddly parts on the back, or risk getting scratched by the glass in some frames, or the sharp corners of the tabs in store-bought versions. Then I got to thinking - if I could front-load them somehow, that would save so much time and hassle. It's okay if it didn't have plexi - after all, posters aren't archival quality, and wouldn't need preservation. Then I could change my posters frequently! So here is our newest addition to the Idea Corner Series - a corkboard fitted into a floater frame, using magnets! 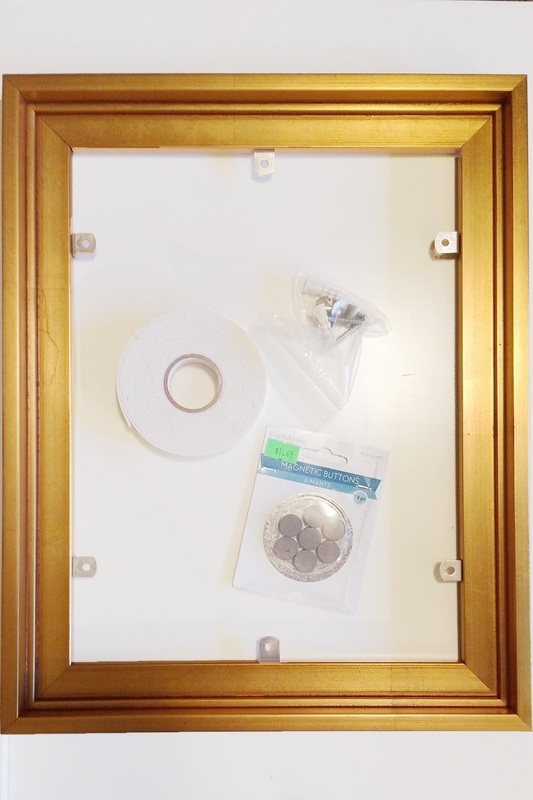 The open corkboard allows you to pin and change art at ease, and the magnets make it easy for you to detach and reattach to the frame - in literally, a snap. The steps to make this are super easy. 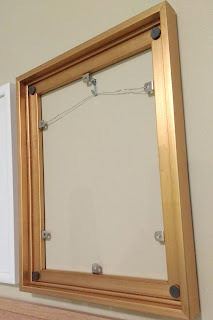 First, all you need is the following - some magnets from the dollar store, some double-sided sticky tape, and your floater frame (with hanging hardware), and a sheet of cork foamboard. I used GB24, the Gold-Leaf 3/4" deep Canvas Floater Frame. The next step is to used the double-sided sticky tape, and glue all the magnets into the top corners. Use the same sticky tape to glue the complimentary magnets in the same corners on the back of the foam-board. And that's it! Pin your artwork to the corkboard, and hover it over the frame. The magnets should sense their partner and the corkboard will snap in place. Now you can interchange your posters without even having to take the frame off the wall. Enjoy! 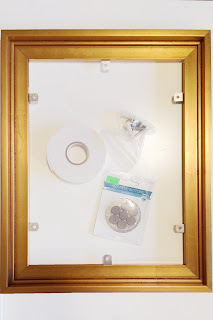 Looking to start your DIY interchangeable frame today? Head on over to our custom frame section and select a canvas floater. Remember to click that you'd like cork foamboard as well from the drop down-menu! Did you try the idea? Let us know how it worked for you by leaving us a comment below. Thanks!